A “Fascinating” Addition for Any Trekker’s Collection! Star Trek debuted on NBC in 1966 and was welcomed to TV with less than stellar ratings. In fact, NBC threatened to cancel the show in its second series but ultimately kept it on the air thanks to a letter writing campaign by some of its most avid fans. In spite of another campaign, the network cancelled the show after its third season. Today, that show is referred to as Star Trek: The Original Series, as it has since been followed by five other TV series, including three sequels and two prequels, as well as a multitude of films and even an animated series. Its fans, which range in age from the very young to the very old, continue to celebrate the cult show by holding conventions at which many Trekkers dress up as their favorite characters. 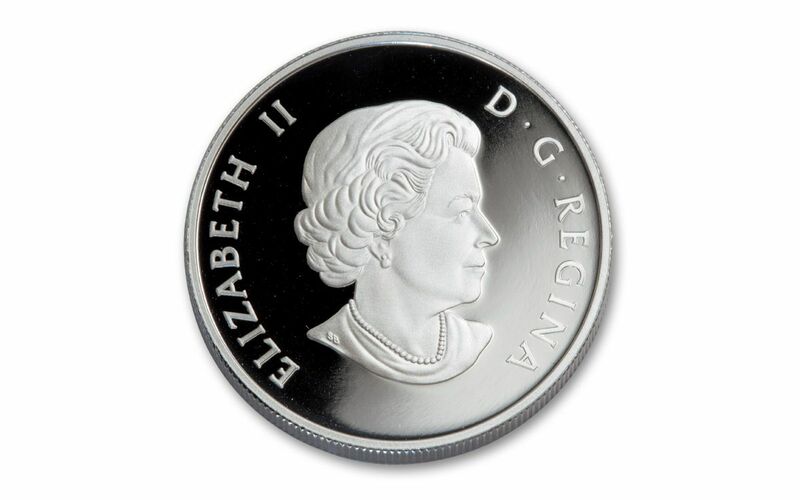 STUNNING PROOF IN FOUR-NINE FINE SILVER – Each coin in this issue was struck from ½-oz of 99.99% fine silver, a purity that matches the finest government bullion issues. The coin also has a proof finish that accentuates the colorful design. 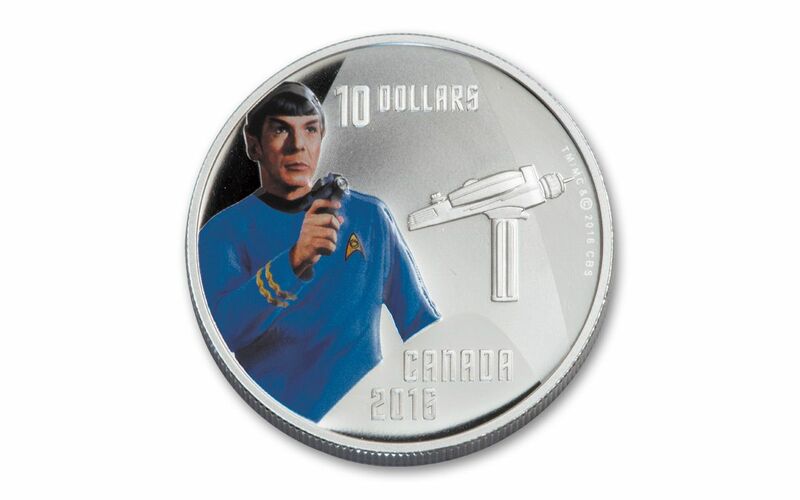 CANADA LEGAL TENDER – The 2016 Star Trek Spock is $10 legal tender in Canada. Canada has one of the world’s best-known mints, but it is also home vast wilderness that offers stunning views, including mountains, forests, and shorelines. It is also famous for its hockey, a sport in which the country took gold in both the men’s and women’s events when Vancouver hosted the Winter Olympics in 2010. 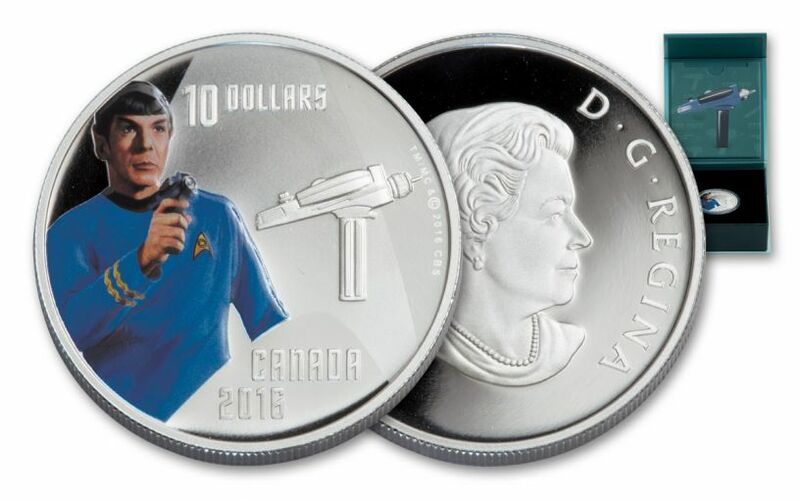 A LIMITED MINTAGE – In spite of the large and avid following that the Star Trek series enjoys, the Royal Canadian Mint produced only 12,500 pieces in this issue. Even extremely popular shows and movies tend to come and go. While they may get watched for generations, they seldom attract many fans from younger generations, much less those that have the fervor to dress up as the characters. The Star Trek series is different, though, continuing to enthrall fans now more than fifty years after its debut. This 2016 Silver Star Trek Spock gives collectors the chance to share in the celebration of the series’ 50th anniversary. 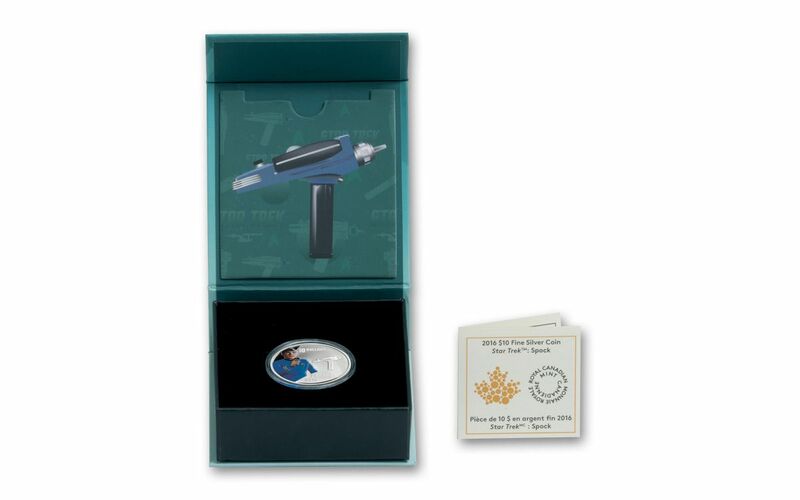 Given the low mintage of just 12,500 pieces, though, waiting to order yours would be highly illogical!